Wedding season is in full swing, and to celebrate all of the crazy, wonderful feelings that come with it, I'm posting my favorite wedding venues from last Spring / Summer. Though they were taken in a warm time of the year, these beautiful venues happen to also be perfect for any season, because with them comes a second location to have the ceremony or reception, should mother nature decide to strike. This location is a forest-lover's dream come true. I fell in love when I first arrived. The lodge offers an extremely cozy atmosphere inside, complete with a large roaring fireplace in the center of the building. The center is opened up to where all of the guest rooms look out onto the large, beautifully lit room that turns into an amazing ceremony and reception area, perfect for dancing the night away and taking a short walk back up to your guest room. A quick drive up the mountain takes you to a stunning view that is simply a wow-factor in itself. Very little decor is needed when you have a cascade of mountains as your background at your ceremony. If you find yourself looking for wedding venues in the Northern California area with a jaw-dropping lookout, a cozy lodge, and evergreen trees for days, a spectacular adventure awaits you at Bear Valley. If you're looking for a wedding venue with a country chic vibe and lots of vintage charm in a wonderfully secluded area, Flower Farm Inn is the perfect hidden gem you've been searching for. With it's bridal suite located in a gorgeous victorian farm house and large barn updated with heating and air conditioning, and many twinkling chandeliers, this venue offers many modern comforts while preserving it's vintage vibe. Just outside of Sacramento, Flower Farm is a wonderful rustic location for both country and city brides alike. CuriOdyssey is a beautiful and unique location in the Bay Area to have your ceremony and reception. Kimberly and Ben had a Catholic ceremony, then headed here for their reception. This venue opens their park up for wedding guests (and of course bride and groom portraits) to check out all of the fascinating sights their museum and animal habitats have to offer. Did I mention the breath-taking view of the bay?! Sunsets on the water: YES PLEASE. Inside the events center, they have a multi tier setup, where guests can freely move up and down from the dining area, to the dance floor, dessert area, and more. 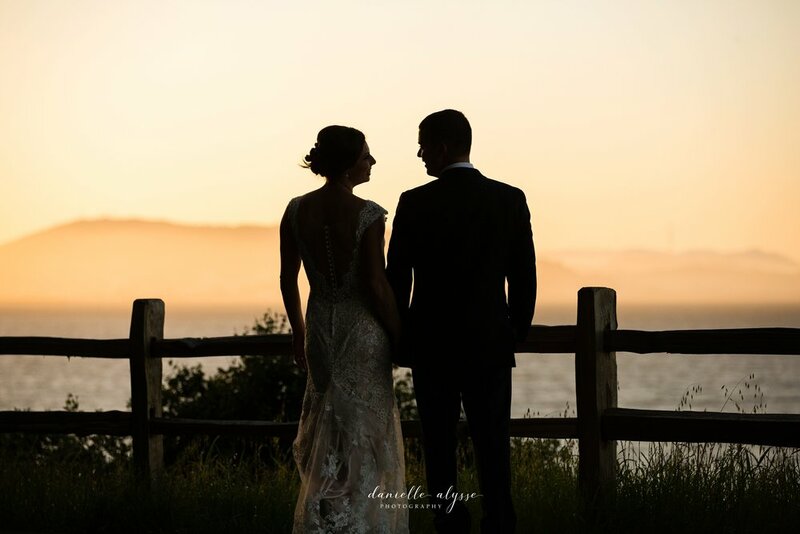 CuriOdyssey is a wonderful venue where you can pose next to bobcats, dance in a stunning redwood room, and enjoy sunsets on the water with your love.